The Baltimore Orioles are destined for a long season. Baltimore’s focus will soon, if it isn’t already, be on where they can secure a draft pick for 2019. It’s rebuild time for the Orioles, and potentially a lengthy one at that. The Red Sox and Yankees look destined to dominate the American League East for years. Baltimore had their turn over the last few seasons and are set for several campaigns of restocking their farm while watching their divisional rivals fly high. Teams have to go through periods like this. It’s the way baseball is set up, and for the most part, it works. The Orioles will be closer to 100 losses than 90 wins, but that’s okay, because it’s all part of the cycle. Getting that cycle (or process, if you must) right, is not as easy as it is always made out to be. 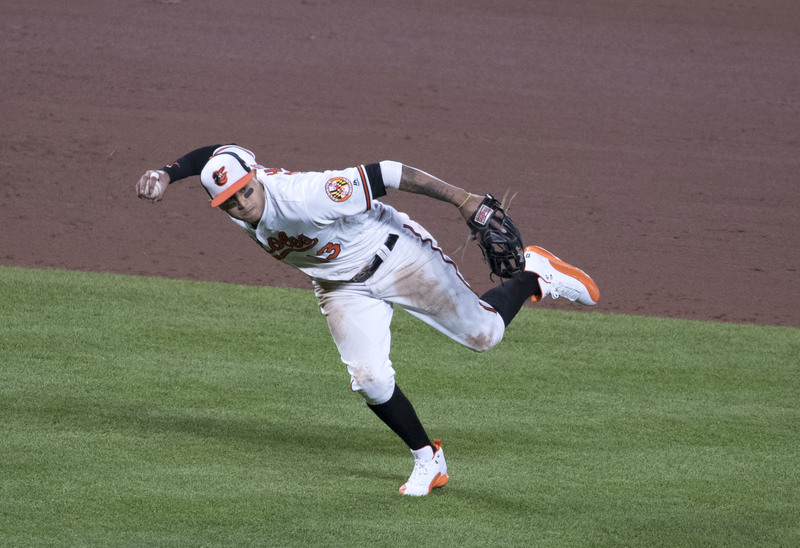 Manny Machado is the obvious key component of the Orioles’ rebuild. 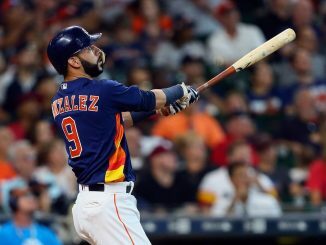 The All-Star infielder was the centre of trade speculation during the offseason and will continue to be right up until the trade deadline. What Baltimore opt to do with Machado will define how their 2018 season goes. It helps that the now shortstop is having a career year. His trade value is growing by the plate appearance. Interest in July should be sky-high for Machado, though it’s easy to wonder if the Orioles made a mistake not trading him over the winter. A pure rental deal like this limits the prospect return, or at least it should do if other teams are sensible. As we saw with Aroldis Chapman in 2016, though, teams desperate to contend can make rash, short-term trade decisions. The way Machado is playing, an elite prospect like Gleyber Torres might not be out of reach. 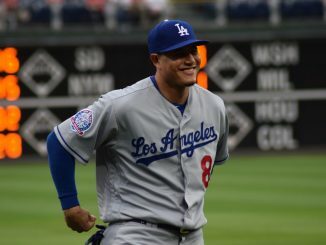 Trading Machado is not an option, it is a necessity. The chances that he resigns at Camden Yards are slim at best. 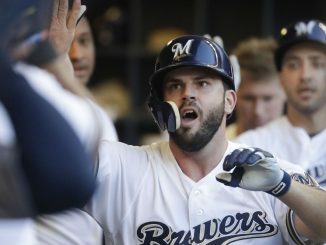 A trade could make a significant difference to a farm that Bleacher Report ranked 20th in MLB prior to the 2018 season. Other trades might open up for Baltimore, too. Few of their hitters are producing anything that could warrant a decent return, but the pitching staff might. Starter Kevin Gausman could be a cheap rotation option for many contending teams. Relievers Mychal Givens and Brad Brach may have trade value as well, while Zach Britton could still fetch a good haul if he recovers from injury in time. 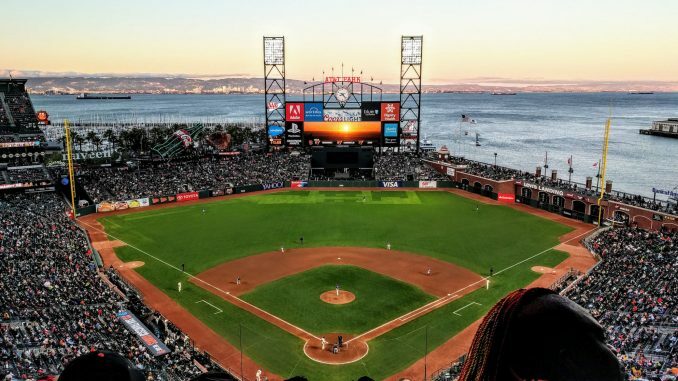 A season that cannot be positive on the diamond could yet turnout to be a step forward for the Baltimore front office. Trades are a part of that, of course, but avoiding reckless contracts is key. Chris Davis was handed a deal that sees him earn $23 million a year until he’s 36. Davis is currently a below replacement level player. That contract will cripple the franchise. Alex Cobb was signed this offseason on a four-year, $57 million deal. Cobb has struggled mightily in the opening months of the season. The Orioles also gave up their third-highest draft pick to sign Cobb. Baltimore cannot afford to make these sort of mistakes, unlike the Red Sox, Yankees and a few of the other big market teams. Contending again in the relatively near future depends on avoiding any errors like Davis and Cobb. The short-term will be painful for the Orioles. Shortening the duration of the struggle depends on how the team is managed over the next 12 months or so. Avoiding the temptation to commit excessive money in this loaded free agency is important, as is bolstering their farm through the trade market. This season might end in over 100 losses. So might next year. Losing 105 rather than 95 games, though, makes little to no difference. It could, however, massively enhance Baltimore’s possibility of success in 2020 and beyond.